The reality of this situation is very different from the spin that the Labour newsletter puts on it. Until recently residents of the ‘finger blocks’ did not favour the provision of playgrounds in the garden spaces between the blocks, preferring to protect the quiet and tranquiity of these areas. It seems that has all changed now. 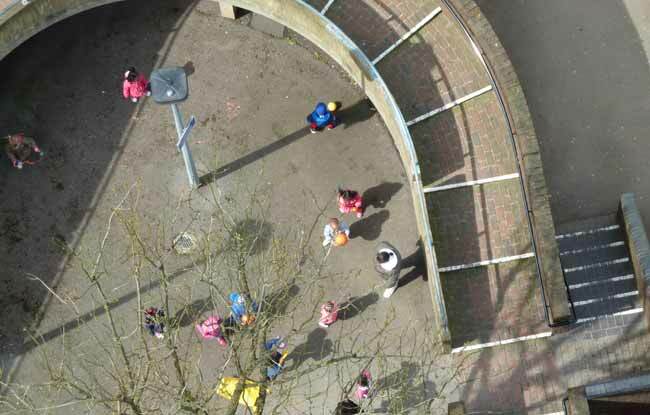 With the complete destruction of Lancaster Green, and the Grenfell Tower playground, there is no longer enough space to swing a cat in the Grenfell Tower area and the children and young people who used to inhabit this space have been displaced southwards towards the bottom end of the estate. 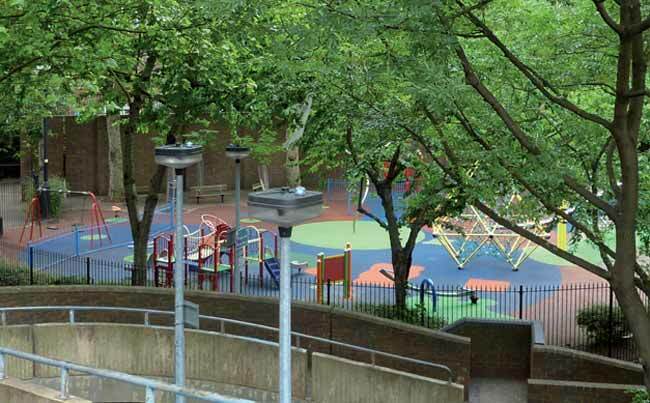 There is now a despearate need for playspace throughout this whole area which has forced the residents to abandon their former preference for the quiet of the garden spaces. This is not the great triumph that Labour spins it as, but a compromise they have been forced to accept under considerable duress. As for the claim that the new playground will ‘hopefully’ be ready this summer, there is very little likelihood of that. The funding has only just been approved (17th May) and so far there is no sign on the horizon of a planning application for the playground works. 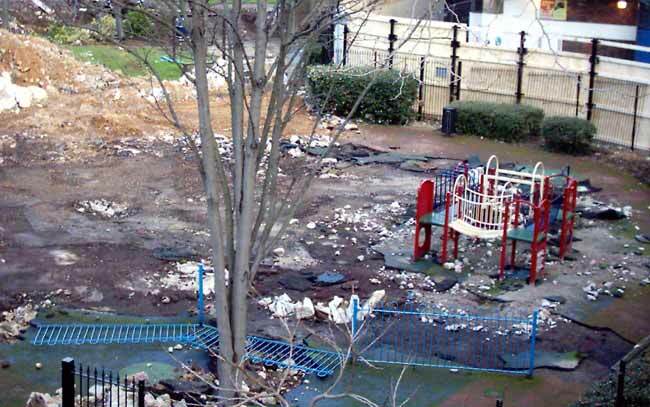 The promise – for what it’s worth – of a new playground further down the block, and not easily accessible to the children of the Grenfell area, will not ‘compensate’ in any way for the loss of this playground, regardless of the grandiose claims of our local quisling councillors. It would seem that neither the local Notting Barns Labour Group, nor anyone else with power or responsibility at the Council, gave a thought towards the well being of these children before voting to destroy this precious resource. SHAME ON ALL OF THEM!